What does it mean to be an ‘expert’ teacher? What have been the most successful models of expert teaching? Is rewarding a minority of the ‘best’ teachers a sustainable method of raising standards? What is the role of expertise in furthering the aim to make teaching a ‘top tier’ career? What are the dominant and emerging models of expert teaching globally? What ways can we expect models of expert teaching to develop in the future? 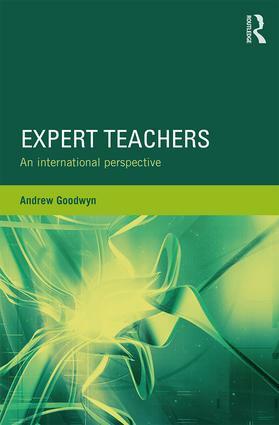 With case studies of specific systems, and analyses of the issues and context therein, this book offers an exceptional insight into the effects of expert teaching models – their effects on the teacher as an individual as well as standards and education policy internationally. The book argues that the current focus on pursuing misleading high-stakes test scores is underserving the teaching profession and that instead the focus for expert teaching should be grounded in issues of social justice and community wellbeing. This book will appeal greatly to current teachers, those currently undertaking teacher training and students or academics carrying out research in the field of teacher education, professional development and expertise.